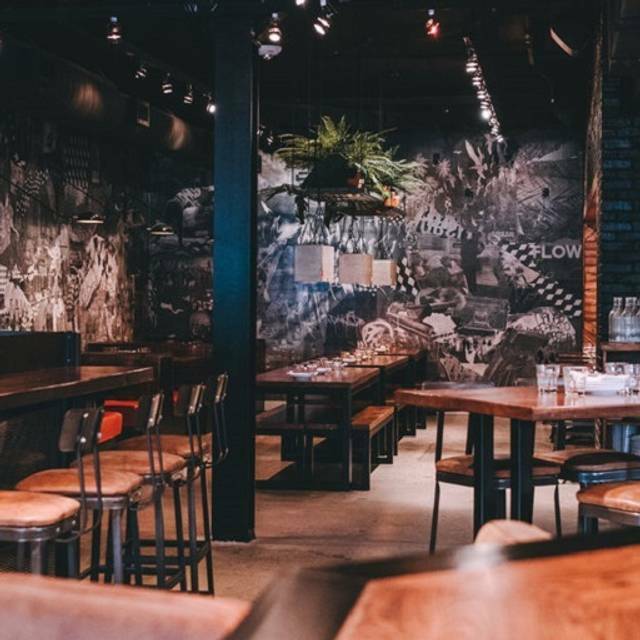 You must make reservations at least 5 minutes in advance of the time at La Carnita - Eglinton. We take catering requests on a case by case basis. 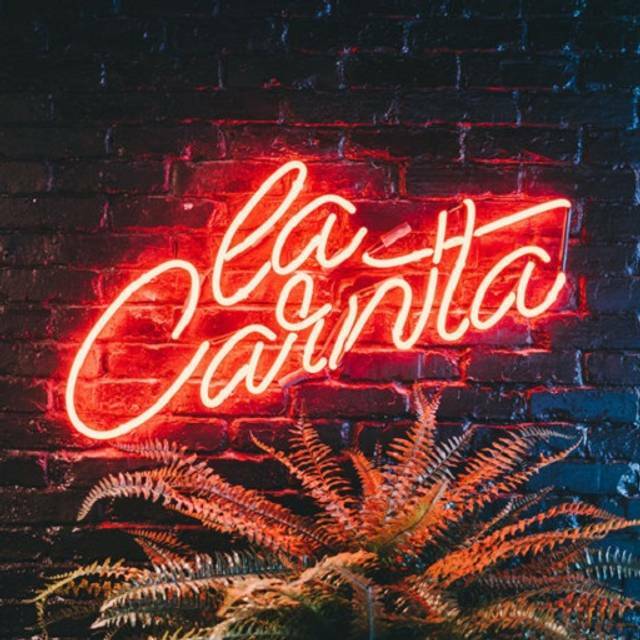 Locally designed with the help of some of Toronto’s best street style artists, La Carnita is the spot to enjoy delicious tacos, a handful of churros, run through a mixtape, and wash it all down with a fresh cocktail or beer. 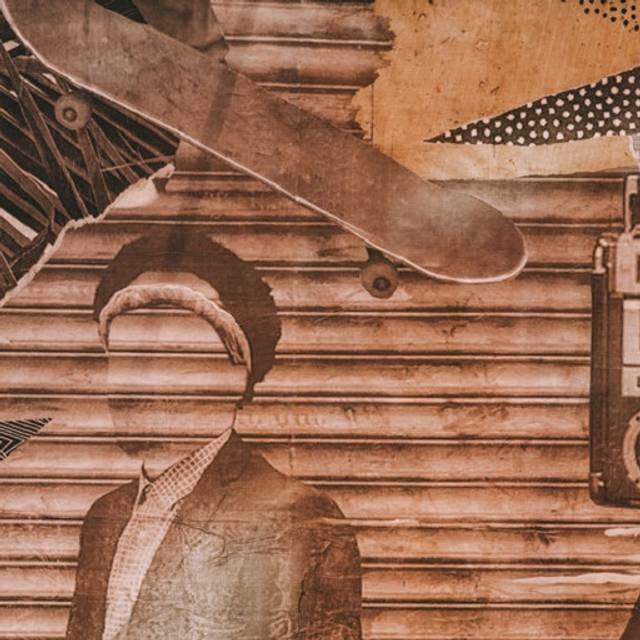 Our aim is to serve up a dynamic menu, and connect with the community through our love of art & music. 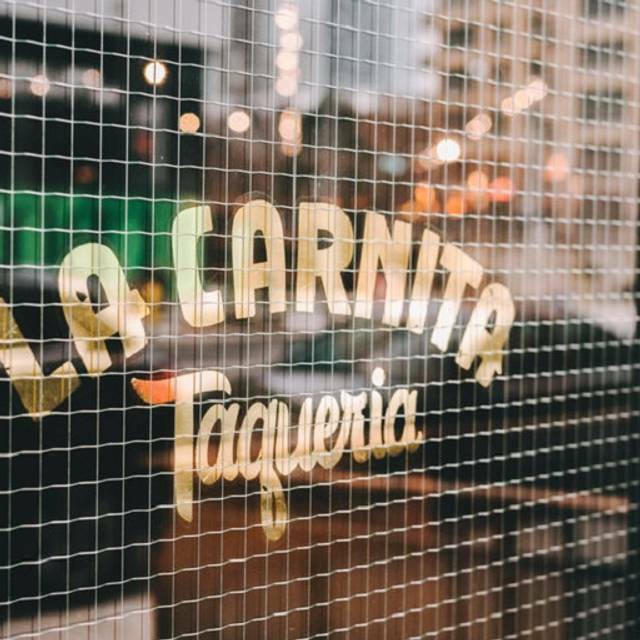 Located in the North end of the city at 130 Eglinton Ave E. La Carnita's Uptown location is a beautiful open concept, where guests can cozy up in the Winter or enjoy the wrap-around patio in the Summer. Our menu includes a variety of delicious tacos and tostadas with gluten-free and vegetarian options, as well as many shareable dishes. Our extensive cocktail program includes all the classics as well as daily drink specials. It was a good experience. Great level of spice. Not a huge variety on the menu but great variety of tacos. I get really annoyed when tip options don’t include 15% and are only 18 and up. With the price of food going up servers automatically get more so it’s ridiculous for this type of establishment (not fine dining) to assume people should pay an even greater percentage. I grew up in the food industry and I know it’s hard work. Great for lunch with colleagues. Got in and out quickly, food was good and lively atmosphere. This is a nice place for a date, atmosphere was just OK, I was expecting a more upbeat vibe. The service was refreshing, however the food is extremely over priced for what you get. Portions were extremely small and my corn on a comb was completely burnt! Definitely won't be going back here. The service was good, the drinks were quite good (we sat downstairs and had access to the different food and drinks in the connected bar there) if pricey, however the portions were quite small. I had the fish burger and it was tiny. It wasn't expensive, but the portion sizes should be communicated by staff. Staff were very friendly and the food was very good. Service on Sunday April 7th was really slow. Our server was very slow and didn’t seem to have any idea what he was doing. The only other person working behind the bar seemed to be doing a lot of work and served us and helped us when our server was slacking. There was a group of 10 of us which I can understand is a large group but this was ridiculous. We were just trying to order drinks and our sever kept saying he would come back. We had a 1:15 reservation and all our our party was there by 1:30. We did not order drinks until 1:55 and it took even longer to get them. Drinks, food and atmosphere was excellent but the service we received was very disappointing. when i made a reservation, i specifically asked for low sitting - table. when i arrived, the hostess said that nothing was available although the tables were empty. She said that they were all reserved but she wasn't able to see sitting request - so why couldn't she just gave it to us!?!? she made us stand for 5 minutes then led us to a table. I have a bad leg pain and i explained that to her but she doesn't seem to understand... food was ok, service was just ok.
Was delicious food with good quality! The food was really terrific. I had a chorizo taco that was outstanding, everyone else enjoyed their tacos and starters. The only problem was the volume. It was so loud we couldn't hear each other, there is no baffling in the ceiling to absorb the noise. There was only one red wine and it was Merlot. The server was supposed to split the cost of the two bottles of wine between the three of us but I was charged for 1.33 bottles. 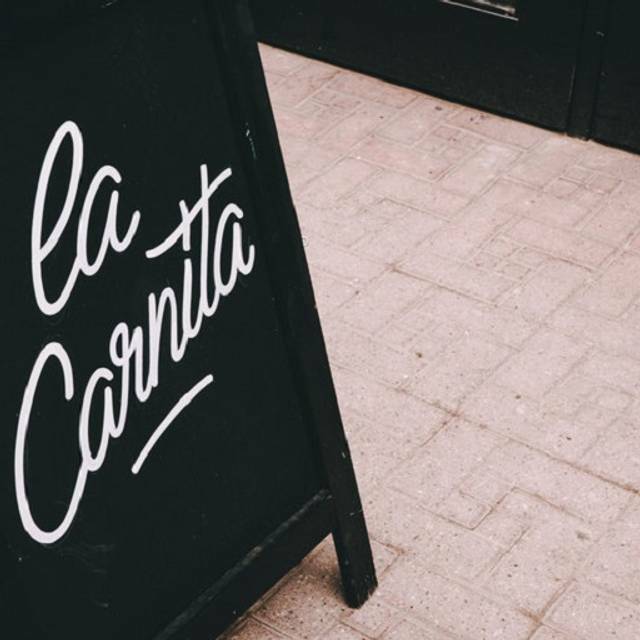 Always love La Carnita. The ambiance was great. Food was delicious. The prices have gone up making value an issue. Most taco places are roughly $3-4 per taco, these were $5.50+. The tostadas were $10+ which is nuts because they are the same size as the tacos. Pork chops were a little steep at $38 for 4 small chops. Several of our tacos were cold when they arrived to the table. Not sure we will frequent again too quickly due to the value. But it was delicious. Food arrived cold, indicating it had been left out for a while. our server never came to ask how our meal was or anything of the sort. just overall bad experience. sad to say because I heard such good things ahead of my visit. Usually this chain has decent food. It’s not great but not bad- you know what you’re getting but this location or visit was not good. The food took a long time to arrive and they were not very busy. My food wasn’t lacking flavour - I think the completely forgot to add any of the sauces so that was disappointing. My friend mentioned she has a nut allergy and after she had fully eaten one taco, we found it the sauce may have been made with cashews or something. They comped that which was expected but overall that combined with the wait and the tacos just not being great quality would make me hesitant to visit that location again. Great food! Good service! Noisy place so not great if you're looking for a quiet dinner out. 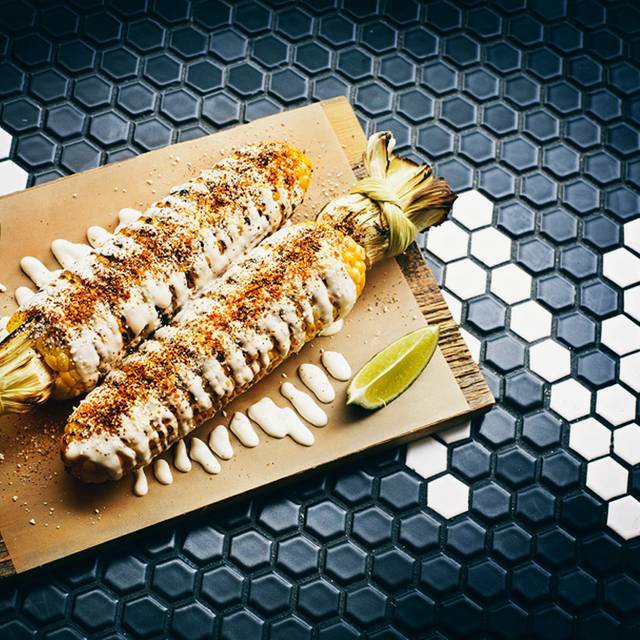 Expensive as they charge per taco, but service is quick and they taste is amazing! Not a great experience. Service was painfully slow. Dishes came out at different times and server asked if we wanted the bill before one diners main was delivered. Shame as other locations have been great. Food was good drinks are good service was good - a little pricey but thats what u get for going out for dinner in toronto ! Consistently great...great beer and tacos evening out...!!! Service was extremely poor but food came out quick. Order was taken wrong so our food came out one after the other. Food was served cold. Server ignored our table and had to be called over several times for missing dish, dessert and bill. Easily finished food within 30 mins but plus the wait time of service, it lasted 1.45 hours. Would not recommend this location as staff aren’t attentive to customers. Kale salad was extremely salty. Server charged us for 2 Chicken Tacos instead of the 1 we ordered, when I mentioned it to her she got extremely annoyed and said she brought it to the table (we didn’t receive it). I did not want to argue or fight over $5 so I just let it go. Queso was EXTREMELY SMALL, I have no problem paying for food but that wasn’t even considered a dish, it was tiny, 4 penny sized balls for $5 which is a bit ridiculous in my opinion. We were a large group of 12 and I can tell you that none of us will be returning. I rated service poorly, but I honestly don't think it was totally our server's fault. When he got caught up dealing with a difficult table, nobody came to help him. It also took us almost 10 minutes to be seated despite a reservation and another 10 minutes before we were even brought water. Also a ton of mix ups with the kitchen and food was not as good as other locations. Food is always good, but its expensive for tacos. It’s definitely an experience that Torontonians need to go through once. The waiter was wonderful. Very attentive to special requests. Food was delicious and presented nicely. Portion size was good. the service was awful and we waited a long time between meals and for the bill to arrive. our appetizer came last when we ordered it first and everyone in my section looked annoyed to be honest ! I have to say... best tacos I have had in Toronto. Waited an hour and 20 mins for cold food delivered to our table twice. We didn't recieve any cutlery even after the third time we asked. Server put the blame on the kitchen staff and bussers saying they were short staffed and really busy; I still don't see how that was my problem, it sure didn't effect the tables seated after us getting their food on time. Left my phone number for the GM to contact me and I'm not shocked he or she still hasn't. Over all worst dining experience ever. Server kept our change assuming it was a tip. When we asked for the change he confronted us saying “No tip?” Since we were upset at this confrontation and trying to avoid it escalating any further we walked away. The the server proceeded to yell out “fuc* you!” as we headed out. It was a party of 7 and everyone left a more than decent tip on their bill. We were waiting for our change to then leave out tip but since he decided to keep it even after we had told him we required change we decided that this sense of entitlement and bad service did not deserved to be tipped. Additionally this server took almost 10 minutes to approach the table when we sat down. Another 15 minutes to take our food order, had rude responses to our minor requests and not once asked how we were liking the food. Overall terrible service from this individual however everyone else is very quick and professional and the food is pretty good. 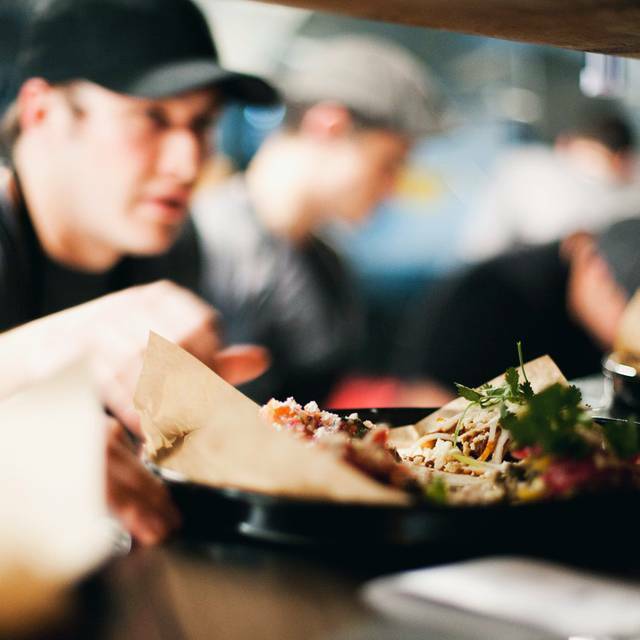 Taqueria, not a restaurant. Tacos are nice though. Lots of beer and tequila options. It was great food drinks everything! Food was tasty - loved the chorizo taco! Service was slow and place was pretty noisy. 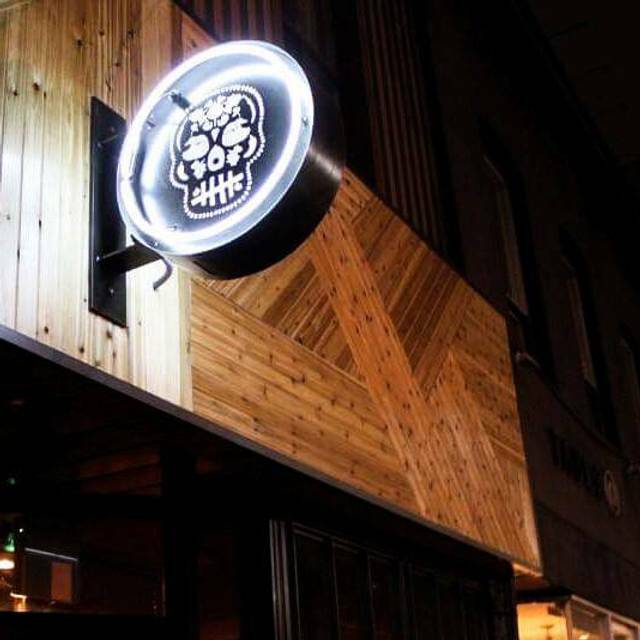 Probably one of the better Mexican fusion restaurants in Toronto. Came for the food, stayed for the ambience. Delicious vegetarian/ vegan options. Our waitress changed halfway through the evening. The first one forgot to bring one of our dishes, and the second seemed to want to rush us out the door even though we were still chatting and drinking. Food continues to be excellent and on par with the downtown location. I’m not a fan of the family style service: hard to distinguish for who’s taco is who’s and all the food comes at once so you feel force fed, finishing the meal in 15 minutes rather than enjoying it and your company. Server was fantastic. Vibe is not as warm as the downtown location. Excellent food and great service. 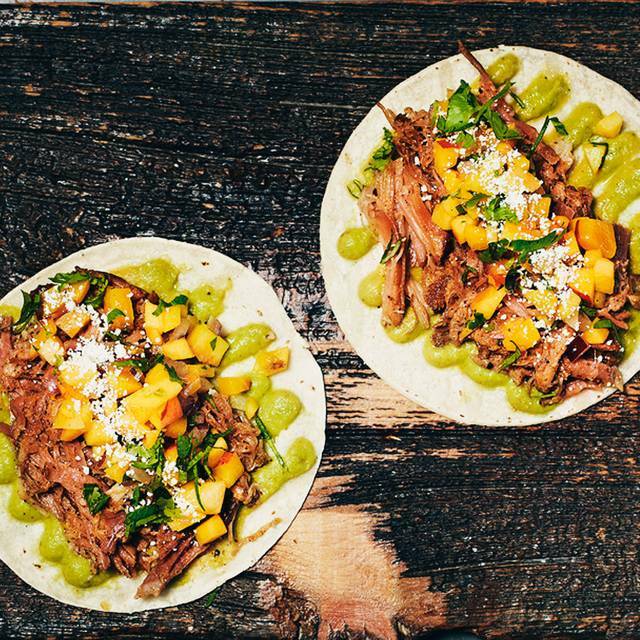 The tacos are made with lots of ingredients that work well together and are different from any of the tacos I've had elsewhere in the city. Attended for my bday celebratory dinner on a Friday night with 5 of my friends. The place felt energetic. Was seated in the basement area. The food was amazing!